Rani Singh directs the Metabolism/Nutrition program in the Emory Division of Medical Genetics, one of the nationally leading programs offering complete clinical services and research to manage children and adults with inherited metabolic disorders. The U.S. Senate has unanimously passed a resolution designating Dec. 3, 2012, as National PKU Awareness Day. Sens. Johnny Isakson and John Kerry introduced the resolution. Phenylketonuria (PKU) is a rare inherited metabolic disorder that affects the way the body processes food into energy. PKU affects approximately 1 in 15,000 children nationally and 1 in 17,000 in Georgia. Every newborn baby is tested for PKU through state newborn screening programs. There is no cure for PKU. Despite emerging treatments with drugs, dietary management is still the mainstay of therapy. Without early and continuous treatment, the condition can cause progressive, irreversible brain damage. Severe brain damage can be prevented by controlling blood levels of the amino acid phenylalanine. This is achieved by drinking a medical food (specialized formula) and following a strict low-protein diet, starting immediately after birth and continuing for life. The Emory Division of Medical Genetics offers children and adults comprehensive evaluation and compassionate care for more than 50 inherited disorders of metabolism, including PKU. The clinical team consists of clinical geneticists, metabolic dietitians and genetic counselors. 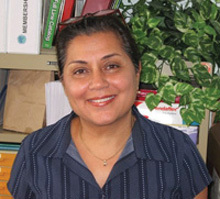 The Division's Metabolism/Nutrition program, under the leadership of faculty nutritionist Rani H. Singh is one of the nationally leading programs offering complete clinical treatment services and clinical research to manage both children and adults with inherited metabolic disorders (IMD). The Emory team also hosts an annual research-based metabolic summer camp, currently in its 19th year, with international attendance by young women with PKU. Emory University, under Singh's direction, also administers the Southeast Newborn Screening & Genetics Regional Collaborative (SERC) established by the Health Resources and Services Administration (HRSA) of the U.S. Department of Health and Human Services. SERC partners with health professionals, governmental and nongovernmental institutions, as well as with patients and families, to strengthen newborn screening and genetics services in the Southeast. Programmatic efforts include nationally standardizing care for metabolic disorders and empowering patients with rare diseases by linking them through patient registries and translational research. These Emory clinicians also work closely with the National PKU Alliance and Georgia PKU Connect, whose mission is to connect PKU families and individuals with the support and resources they need to manage PKU and live healthy, productive lives. "It is very exciting to witness collaborations between patient advocacy groups and professional organizations, where voicing their concerns has led to the successful passage of such resolutions," Singh says. "This awareness day is a wonderful opportunity to express our support and make a difference in the lives of individuals with PKU throughout the world." Families, children and infants with metabolic disorders may be referred to the Metabolic Clinic for diagnosis and treatment by calling The Emory Clinic, Department of Human Genetics at 1-866-451-1311. For more information, visit Emory Metabolic Genetics and Nutrition Program.